As we have done for many years, we are happy to offer to our readers the completed bound volumes of our two monthly magazines from the previous year. These bound volumes enable the articles contained therein to remain relevant far beyond the time period during which they were authored. 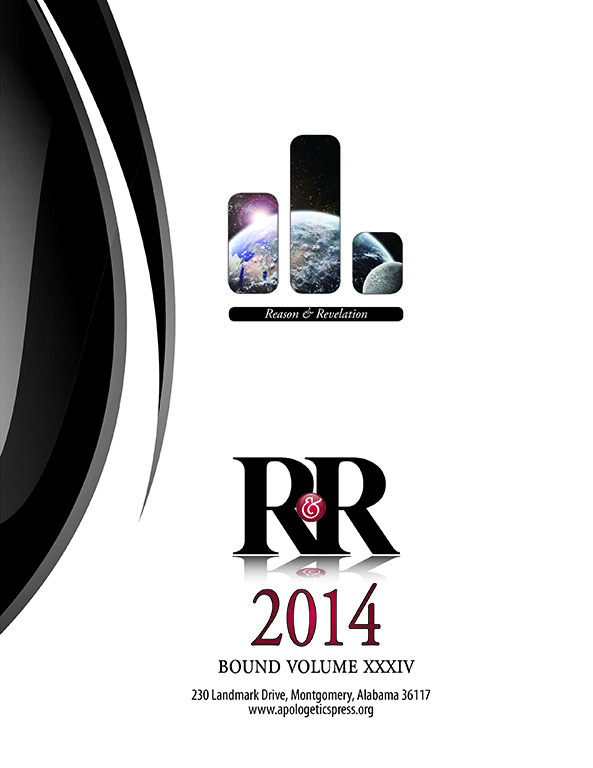 The bound volume of Reason & Revelation for 2014 contains articles on such topics as: God and the Laws of Science: Genetics vs. Evolution; Microcomputers in the Brain Tabulate Design; The Next Domino: Polygamy; Did Life Originate Underground? ; Bill Nye/Ken Ham Debate Review: Tying Up Really Loose Ends; Is Christianity Still Needed In America? ; Did Jesus Deny Deity and Moral Perfection in Mark 10:18? ; God’s Not Dead: A Movie Review; Reflections on My Debate with Bart Ehrman; Was the Big Bang Just Proven by Astronomers? ; How Could There Be Light Before the Sun? ; Gender in the Bible; Don’t Muslims and Christians Both Believe in Jesus? ; 7 Reasons to Believe in God; Left Behind or Left Bedazzled? ; and more. As always, this beautifully bound annual collation contains all 12 issues for the year, as well as an author/title index and an attractive cover. The bound volume sells for $12. Previous volumes from 1998-2013 are still available at half price ($6 each). 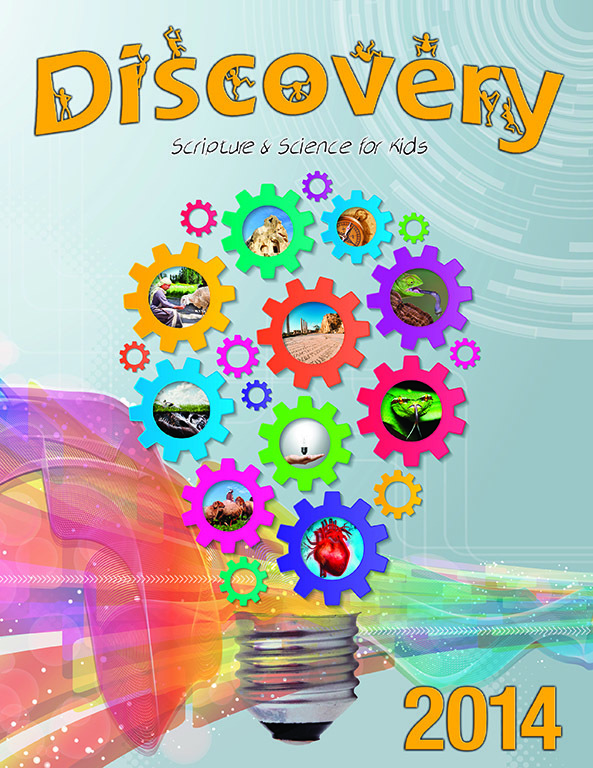 We also would like you to know that the 2014 bound volume of Discovery, our monthly magazine on Scripture and science for children, now is available for $14. During 2014, Discovery contained articles on these timely topics: Design in Animals; Professions in Bible Times; Dinosaurs; Regions of Palestine; Age of the Earth; Dwelling Places in Bible Times; Tongues; Dr. Jeff’s Trip out West; Languages of the Bible; Electricity; Hearts; and Jerusalem. We also have in stock bound volumes for 1999-2013 for $7 each. Be aware that for both Discovery and Reason & Revelation, whenever the bound volumes go out of print, they are gone forever; we do not reprint them. So be sure to order your copies soon. Please consider donating bound volumes of Reason & Revelation and Discovery to personal, church, or school libraries. They also make valuable gifts for children, men who are attending a preacher-training school, or students in college (especially those majoring in either Bible- or science-related fields). Why not consider giving a single volume (or, better yet, an entire set) to someone for their future study and edification?